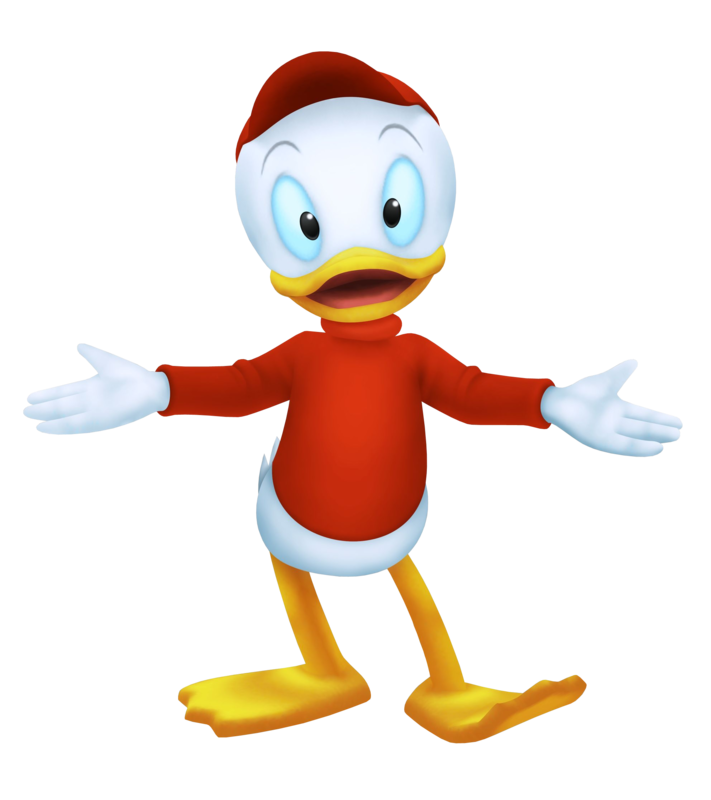 Huey is the leader among Donald's three nephews, in charge of his brothers. He is the little duck in red. The three of them take turns running an Item Shop in Traverse Town. They are seen returning to Disney Castle at the end of the game. 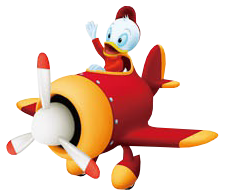 Huey is one of Donald's three nephews, and the leader of the trio. Realistic and resourceful, Huey is the one to keep the other two in line and make sure they don't fall behind while helping their Uncle Scrooge with his blooming ice cream business. Out of the three, Huey's the one wearing red. With everyone moving out of Traverse Town back to their own worlds, the siblings had to close their item shop there. Upon moving to Hollow Bastion during its restoration, Huey was in charge of running the accessory shop.